November 10, 2017 November 28, 2017 - by Udit Goswami - 2 Comments. 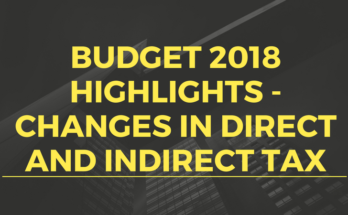 In this article you will get to know the procedure to generate E Way bill online under the new GST regime. The new E-Way bill system, is a system for hassle free movement of goods throughout the country with a single document that is the E-Way bill. 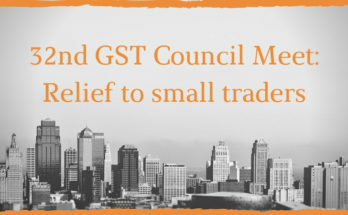 You will need to register on the website gst.kar.nic.in. Registration procedure for enrolling E-way bills under GST is a one time process. 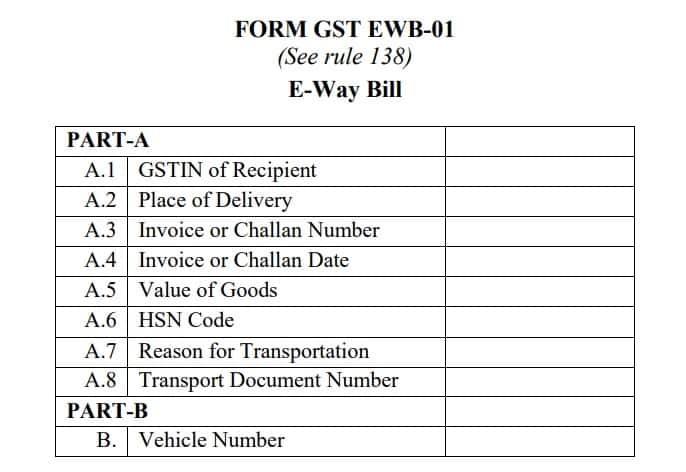 To register with the website, the tax payer has to visit the website https://ctax.kar.nic.in/ewaybill/ and select ‘E-Way Bill Registration’ option as show in the picture. 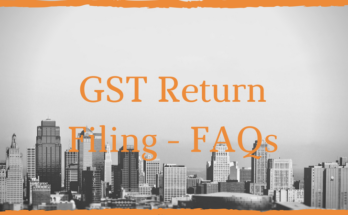 Further, the tax payer has to enter his/her GSTIN (GST Identification number), after which the website displays the GSTIN details and sends an OTP to the tax payer’s registered mobile number. After the tax payer has entered and validated the OTP, a username and password is generated. After registering with the gst.kar.nic.in, the tax payer needs to login into the website. Once the user is logged in, he/she has to fill the following details (given in the picture below) in GST EWB-01 (Form EWB-01). Reason for transportation – The reason for transportation can be any of the following : Supply, Export/Import, Job Work, SKD/CKD, Line Sales, Sales Return, Exhibition or fairs, For own use, Others etc. Note – Keep the invoice or bill of supply and ID of transporter ready to fill all the required details in GST EWB-01 (Form EWB-01). You will also need to select the type of transaction, i.e. sales or purchase as well as the types of document i.e. tax invoice, bill of supply or challan. Vehicle Number* is to be filled by the person who is transporting the goods.It is very important to add the vehicle number because if the vehicle number is not entered in the E-Way bill, the bill shall not be valid. Once the vehicle number is entered, the system shall show the validity. This will indicate the user to get the goods transported within the valid date and time. Otherwise, the movement of goods shall become illegal. *If you are carrying out the transportation via third party, then you will have to fill the details given in transporter ID along with the transporter document number and date as provided by the transporter. After selecting the transporter ID, the generated e-way bill will be forwarded to the transporter. Further, the transporter will enter vehicle number. *If the supplier himself transports the goods in his/her own vehicle, or by railways/air/ship, then he can fill in the information about the transport vehicle number himself. After the user submits the request, the system will verify the details and display a message, if there are any errors. 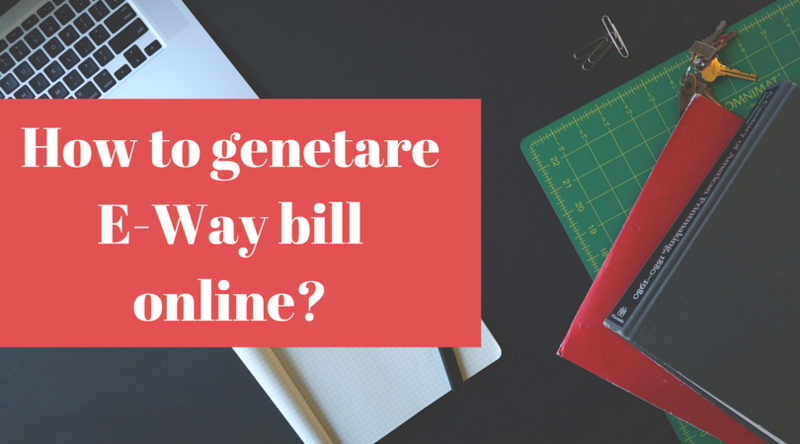 And, if all the details are correct, then the e-way bill be generated which will contain a 12 digit unique number. Note – The E-Way bill can only be cancelled within 24 hours of generation by the tax payer. The recipient/other party of the goods can also reject the E-Way bill, if it does not belongs to them. Unregistered transporter need to open web site http://gst.kar.nic.in/ewaybill and go to ‘Enrolment for Transporter’ option. Enter the PAN details, other business details and authenticate with OTP. The OTP will be sent to his mobile number. After entry and validation of OTP, username and password, the system creates the username and password for the transporter. He can then generate E Way bill online. The tax payers can now also create sub-users and assign them different roles on the E-Way bill system. Sub-users can then generate E Way bill online. To know more about the features on E-Way bill, click here.